Country living with mountain views! 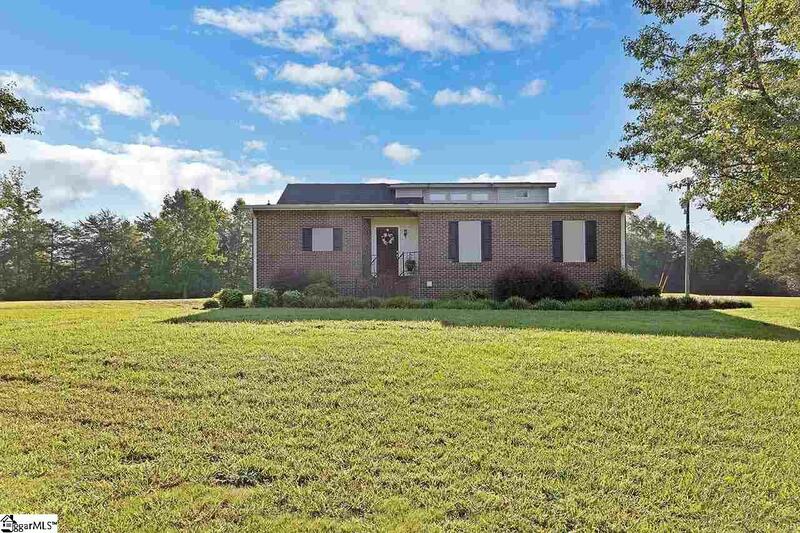 This well maintained three bedroom two and a half bathroom home has views from the inside and out of the beautiful foothills of the Blue Ridge Mountains. As you drive up the long driveway you will notice the nicely landscaped property complete with a waterfall feature, in ground pool, large deck, and a barn at the top of the hill. This home has custom made Phifer SunTex removable solar screens on most windows to keep the home cool in the summer and warmer in the colder months. To the left of the property are newly planted Arborvitaes trees that will eventually grow up and create a beautiful border. As you enter the front door you will notice the great open feel of the dining room and living room. To the left is the kitchen featuring stainless appliances and windows to allow for enjoyment of the view while working in the kitchen. The master is located on the main level as well as a powder room and several storage closets. Just past the living room is a lovely sunroom that leads out onto the back deck. There are two locations for the laundry room. In addition to laundry hookups in the garage, there is also a laundry closet in the second level. In addition to the laundry closet on the second level you will find a second full bathroom, two additional bedrooms, walk in attic storage, as well as that picturesque view. This is a home you will not want to miss. Call to schedule your showing today!! !